Santa is mean, sent cell phone pics of items that will miss the sleigh..
Are these parts of a major engine refresh, or are these all CSL specific parts? Santa was late but he did deliver some more parts the day after Christmas. This is to do the CSL exhaust valves and to upgrade the valve springs. So once that is all done plus the other stuff it will be a CSL less 3 parts. I am please to finally post that we now have a working flap motor. Thanks to the efforts of Terraphantm and Cyberkaa we can prove that it is possible to make a none CSL into a CSL. This includes, Temp Sensor, Map Sensor with rail, and now the flap motor. I also was able to get some good shots of the 1M finally. Second set of the 1M photos. Someone on another forum asked me to compare the 1M to the M3. Here is what I posted. 1M is very friendly to drive as a daily driver, which is what I use it for. Also it does great on long road trips. However hit the M button and you now have a car that is like a kid jacked up on too much sugar. While she is controllable, you can tell it has a short wheelbase and wants to just maul every corner you throw at it. My M3 in its current configuration feels tame and docile compared to the adjudicated 1M. This by no means I am saying it is a slouch. The M3 feels more like an extension of what you are thinking. In addition, when you hit sport and the intake flap start opening sooner it is like a angry beast shouting "MOOOOVVEEEEEE" at everyone. In the corners, it feels more composed with the only complaint is the DSC kicks in a little too soon. Both are M cars and at least to me have the motorsport heritage. The 1M definitely was BMW saying to the enthusiasts crowd, "Yes we can still make these cars, so shut it". As one of my buddies who drove it said, this is what the current E9X M3 should have felt like. (He had 2 by the way). The M3 you can tell was BMW giving the US a car that was equal to what was in Europe. You can feel the translation of all the little quirks into the car the race developers had. 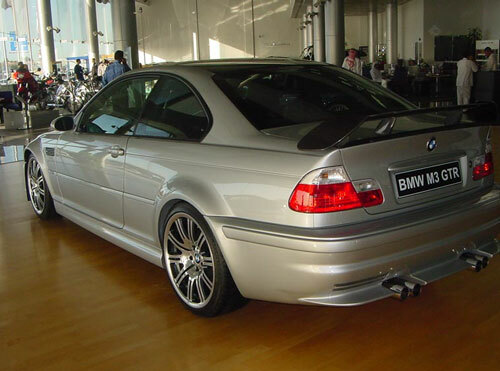 I am E46 M3 bias but it feel the car has a lot more soul than modern cars accept the 1M. That car has one as well. 1M is a boosted car and with a little tweaking, you get 450hp easy. The car does not need more power unless you are our drag racing other cars. The power it has for the track and street is more than enough to melt tires and have a grin from ear to ear. In order to get my M3 to the same level as the 1M it took money. A stock E46 M3 to me seems tame and restrained. Almost like BMW said "down simba" as it whipped the lion into shape. Probably why they made the CSL to let the lion out to go maul a few Audi's and Porsche's. With all the changes I have done I feel the car is what it should have been from the factory. While not as fast in a straight as the 1M it does have no issue in the twisty back roads. With my current M3 reaching the end of what I want to do with it in regards to upgrades. The last major upgrades will be going in the next month or two. I had to turn my attentions to the next project car which arrived this last Saturday. This car I hope to have done by the 15 years event in 2016. It is worth noting that this car has been on the forums since day 1 and has made the trek from PA to CA. NOTE: Car was plasti dipped and only some of it has been pealed off. Cool, I look forward to watching it's evolution. Are you going to crowd source ideas, have us vote on what to do next with it. HAHA. was a thought but not this time. To let the car out of the bag, I am building a replica GTR Street version. I am currently sourcing a E9X M3 to be the donor car. The S65 is loosely based on the motor in the real ones which is a 4.0L V8. My goal is to have this done by the 2016 event I am planning to celebrate 15 years of E46 M3 goodness. Some recent updates over the last week. At the end of April, I lead a day drive to Napa to enjoy the great weather we have been having. Some of the gang here were in attendance. The car is running so much better with the intake flap functioning. I have yet to get the tune back on but just the stock CSL setup is pretty darn amazing. Teaser image of what just arrived today. Since it seems people are only interested in this build thread when I spend money LOL. I have a few more updates later this week. You know you are hoarder when your room looks like the images below. The Evolve boxes were the last pieces I was waiting for to do the next major service. I have been stock piling the last few months as you can see. This will be the last major upgrade to this car as I have done all I have wanted to for the moment. Car should be going in for the last bit of upgrades in the next few weeks. Finally had a chance to update the Google XLS Sheet. Most noticeable changes are around the engine section. Some parts came in yesterday so I will post pictures tomorrow. Car should be going in for the parts installs later this month. Box showed up with new floor mats. 12 year old ones are still decent but have seen the millage and 12 years of drives. Also got some new O rings for the coming motor work and wheel cover. No longer have break ducts so closing them off from the wheel well. The Vanos Beisan System arrived YAY. Now I just need to get the WPC bearings and I have all the parts I ordered. Though people keep taking my bearings as they need them last minute. I have had to re-order them for the third time LOL. Some people saw the car collection in the back ground. Here is a better shot of 80% of them. There is still another cabinet to the left and more below on the left. Last update is a quick video having a little fun at APEX for the photo shoot HEHE. Have you thought about splitting this into 2 seperate threads, one for each build? Nice model collection. I need to get mine behind glass doors, my wife complains about having to dust them. I keep telling her that dust is just a protective coating but she is not buying it. The dust bugs her more than me so she keeps dusting them, I'm not too sure how long that will last. If you are referring to the GTR build I already have a thread for it.